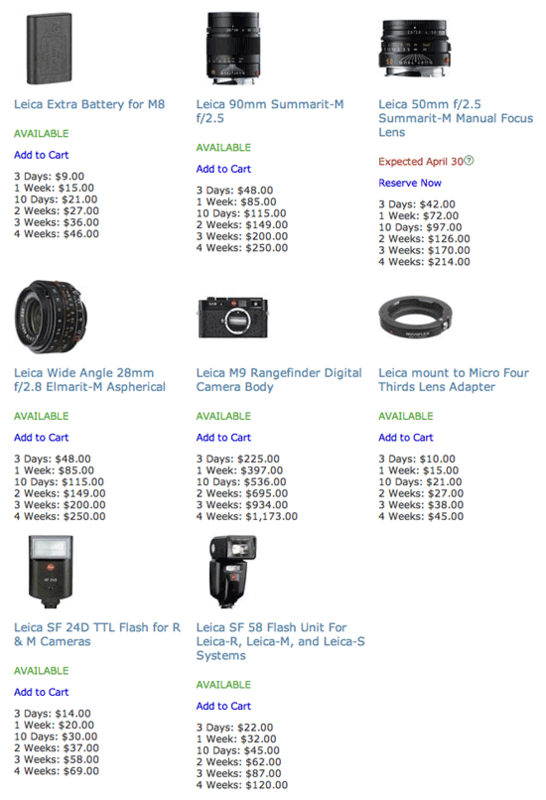 BorrowLenses has added Leica M9 cameras and few other M products to their rental inventory. Today I have a $150 gift card from BorrowLenses.com to give away. If you already “liked” both Facebook pages or are already a follower on Twitter, you just need to leave a comment to this post. One comment per person please. Don’t forget to add your email address in the email field (it will not be visible to the public and it will only be used to notify you in case you are the winner). I will close all comments in one week and will randomly pick the winner. Since BorrowLenses ships only to US addresses, this giveaway is valid only for US residents. This entry was posted in Other Leica Stuff and tagged Giveaways. Bookmark the permalink. Both comments and trackbacks are currently closed. Borrow lens is a great site! keeping my fingers crossed… pick me!! I have used Borrowlenses.com (their location in San Mateo) several times – I will be using them again later this year! Awesome! Look forward to seeing more! 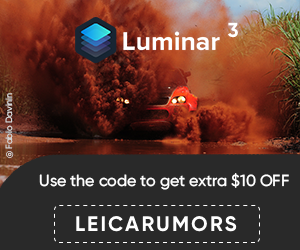 I’d love to win the $150 gift card from BorrowLenses! I am now following both Borrowed Lens and Leica Rumours on facebook as well on twitter! Cross my fingers I win!!! Woot Borrow lenses is AWESOME!!! pick me pick me ! pretty please!! Pick me, I just bought the Nikon D7000 and would LOVE to “borrow” some nicer lenses to try on it! I’m an extremely happy customer for their Nikon gear and would like to check out Leica if I win. pick me!!! i love leica and i need to borrow some lenses soon! ;D! I wanna try new lenses!! Awesome new site to follow on Twitter! Glad I found this! Liked both on FB! Here’s hoping! This is an awesome giveaway! Thanks for the opportunity! It’s not a loss if I try right. But I certainly hope that I win. Been a member of Borrow Lenses for a while. Great place! Borrow Lenses = the best way to rent a lens or other gear. Also, I’d love to have a Leica. Any Leica will do, but the M9 is particularly classy. Just kidding, you guys and your services are great! I would love, love, love to win the gift card from BorrowLenses. It would really help me out because being a newbie to photography I’m totally confused which lens I should buy for my new D7000. I love that BorrowLens exists so that I can try before I buy! I entered via this option. Thanks for the giveaway.